More Bullets! More Katanas! More Gore! More DOSH! Think your crack team of British Special Forces agents can stand against an endless horde of science experiments gone awry, again? Our friends down at PC Gamer have revealed Tripwire's sequel to their over the top co-op horror game: Killing Floor 2. 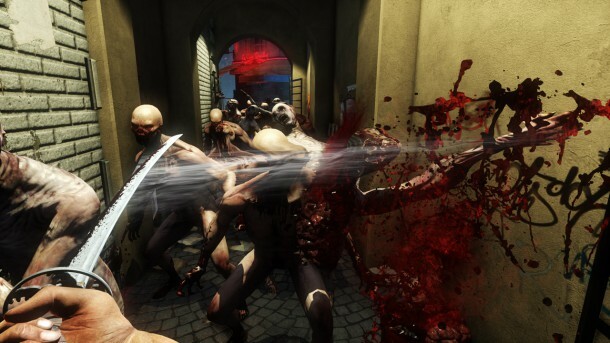 With what's being touted as "the most complicated gore system in gaming," the second installment is a higher budget product with more of everything that makes Killing Floor so great. 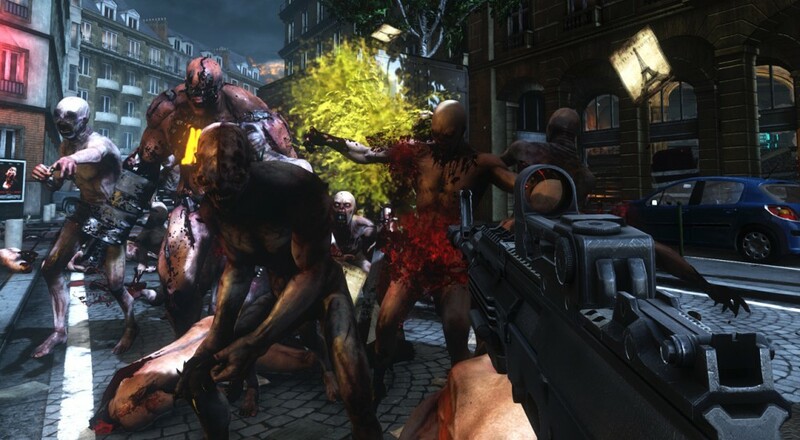 The new gore system, titled MEAT (Massive Evisceration and Trauma) gives each enemy 19 points of dismemberment. Arms, legs, even organs will be spraying into the faces of your teammates as you systematically blast/hack your way through legions of the grotesque horde. It's not like you're doing these unspeakable things to people, either. These guys pretty much deserve whatever hot lead goes straight to the brainpan. I always figured charging headlong into a crowd of really angry clones with just a katana was pretty irresponsible, but if it gives me the chance to carve out one's appendix with the deftness of a surgeon who moonlights as a ninja, I'll take it! We've got no release date yet, but we'll keep you posted as soon as we know more. Headshot enthusiasts everywhere have enjoyed braining ZEDs in slow-mo ever since Tripwire released Killing Floor in 2009. With a simple pick-up-and-play that is easy to learn but difficult to master, the delightfully British zombie-killing game has seen overwhelming support from both developers and the community. The game is highly moddable, with fans pumping out weapon and map packs to be downloaded or sold on the Steam Marketplace, while the Devs are keen to celebrate seasonal events with new maps and monster skins on a yearly basis. We can only hope Killing Floor 2 gets the same amount of support as the first. Page created in 0.3746 seconds.